GETTING READY FOR YOUR TRIP!!!! ADVICE try to pack clothes that you do not want to use anymore, so you can leave there and have more space in your luggage (I wish I would’d done this). You are going to get a packing list, and I going to tell you what I use and what I did not. Definitely you need more than $200. There are amazing things you want to bring back home, and sometimes it gets really difficult to get money out + you want to save the extra charges that some banks have for using your card in a different country. Knowing the India currency or the currency of any other country it is very important and interesting! ALWAYS BRING BACKUP DOCUMENTS; copy of your passport, insurance, the card you are taking, and your airline itinerary. Mosquito net (never used it). 1 pair of comfortable shoes or sandals. I used sandals of the time because of the heat. We did not walk too much, so they were perfect. 1 pair of flip flops for showering. I did not bring them and did not need them. The showers at the places we stayed were very decent. CLOTHES like I said bring the clothes you do not want. Bring something that you are comfortable and fresh, the heat makes you really tired. Bring something nice for a night out. Extra t-shirts!! The first week was a little cold, so bring something light but warm (most of us were not ready for the cold). Socks (never used it) 1 pair is enough. UNDERWEAR, I brought underwear for every single day because I do not feel comfortable somebody washing my underwear, and because I did not know who I would be sharing the room with. Days were really long and sometimes you did not have time for small things like this, and I had to share the room with the boys. I am so happy I had underwear for every single day! My girl roommate regret not doing it. I brought my own, but each place had clean towels. You can save some space here. Ziploc bags, I never used them, but it is important to have some just in case. Tissues, disposable wet wipes YES!!! I brought 1 roll of toilet paper which was really important. I bought small wipes to carry with me all the time and a big package that I left at the hotel (Used them all). A thin collapsible duffer if you plan to purchase souvenirs. If I was you I would just leave all the clothes I do not want and put everything in your luggage, that way you are more comfortable on your way back. Many of us did not have the space, and it was very uncomfortable to travel with so many things. 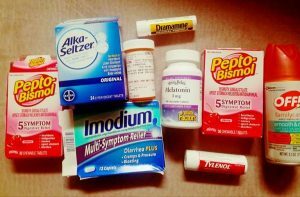 Over the counter drugs. PLEASE bring something for a cold or cough, I got some kind of cold and had nothing for it. TAKE THEM ALL, YOU NEED TO BE READY! Melatonin $6.57 (jet-lag) (if you have never taken this before buy the 3mg). Earplugs and eye cover (optional). I did not bring any, plus the airline (EMIRATES) gave us earplugs and eye covers. 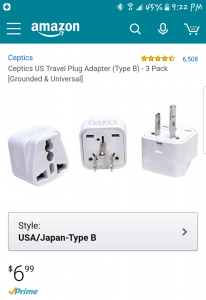 DO NOT BUY THE ONE IN MARSHALLS IT DOES NOT WORK EVERYWHERE! Sense of humor and flexibility (bring extra of those). This is the one you should get!! This should be part of your kit. I took the picture because when I went I had a hard time, so if you do too you can just look at the picture and i will be easier to find them. This is my first time writing a blog in English, so I am so sorry if I make any mistake. However, at the same time it is a representation of me as an immigrant whose first language is not English. So here is the process that I wanted to have before and during my time in India. This is a process that we should all enjoy, although it is stressful, once you get the congratulation letter everything will have a different face :). For this I do not have much to say more than be yourself. If you do not know something it is okay to say it, you do not need to have a perfect answer. From this, you will learn (like I did) to be okay with who you are with your answers even if they sound silly sometimes. 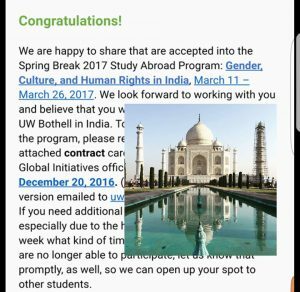 For a while I was worried that I was not going to be selected for the program because of some of my answers, but I got the good news and that opinion about myself changed….and if you are wondering about the picture in my congratulation letter, yes we took it while in India! A picture of yourself with a white background. What I did… I took a picture of my passport picture and change the size of the picture to what it was required and it work! I thought it was going to be easier, so please take your time to do at once. However, if for some reason you can not finish it when you started it DO NOT FORGET to write down your application ID number which is on the middle top of the page. It happened to me, and I had to start over again and learn the hard way. DO NOT write your social security or your driver license enter NA. AND write the address as they show it even though the space is not long enough. Copy and paste what they give you, and if it does not fit IT IS OKAY! …and here goes your first investment on your trip $61.50 for you visa! Go to the doctor as soon as possible so you will know what your insurance is able to cover. If you do not have insurance Bartell Drugs store and Walgreens offer the service of the immunizations that are required to enter to India. Bartell Drugs have an international nurse that will help you with the research and the decision with some the ones that are optional (malaria). For me, my insurance covered the Hepatitis A, and with my doctor we decided that I was not going to take anything for Malaria. However, I paid for the Typhoid at the community clinic in North Gate and I paid $76.78, so it was more convenient. DO NOT FORGET to ask your doctor for CIPROFLOXACIN for traveler’s diarrhea. Most insurances cover this. WHAT I DID TO NOT USE IT… I was really worried about getting sick during India, so my cousin who traveled to Nepal recommended to take probiotics as much as possible BEFORE and DURING the trip. 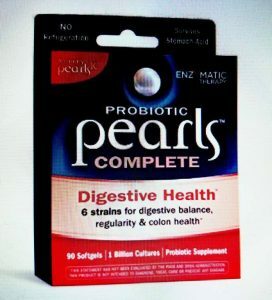 I was eating two yogurts everyday, kombucha, and I bought some probiotic pills called “Pearls Complete” that he recommended. I got them through Amazon for $15.49…. and I never got sick of my stomach! …and if you are wondering about the picture in my congratulation letter, yes we took it while in India!